This is a new power rankings land speed record, as it’s only been two years since the show bowed out. 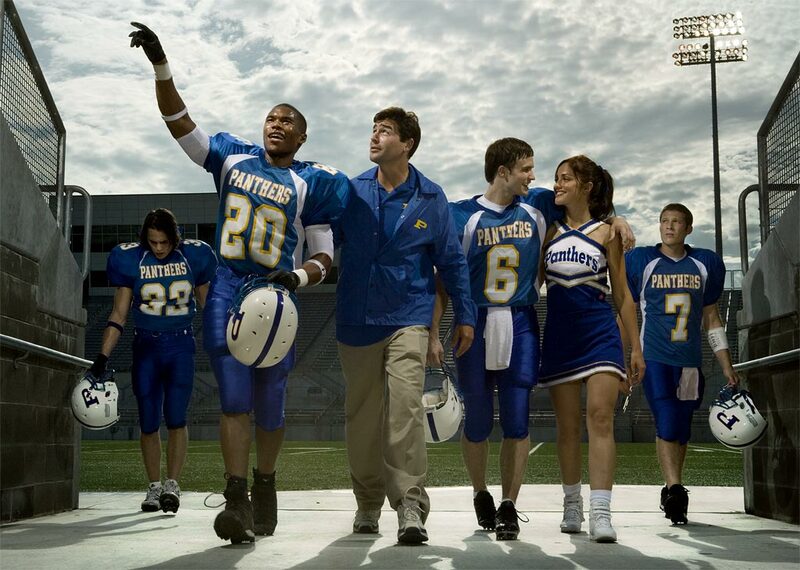 However, the cast, validating the talent they displayed on FNL, has been so damn successful on the whole, that I think they’ve warranted this unexpectedly early Power Rankings treatment . The entries may not be as long as some, because of the little time, but there’s a huge cast, so it’ll be divided into two parts. A couple of actors left earlier in the show and thus had more chance to build their resumes, but those extra years didn’t seem to necessarily give those actors a step up. This list was nearly impossible to rank. Everyone’s done something, and everyone besides poor number 16, has had at the minimum a recurring tv role, and most have had much more. There’s some fairly arbitrary judgment calls pure and simple ,and I can’t think of another power rankings in which not just two or three were close together but so many of them. But rank somehow we must; perhaps we’ll come back again and revisit these rankings and find the order changes in another couple of years. As a heads up, I tended to give edges to more prominent shoes over less, larger roles in shows and movies, and acclaim never hurts along with popularity. 16. Brad LeLand (as Buddy Garrity) – he somehow earned his way up to main cast status by the end of the show, which was a not unfair triumph of simple attrition and perseverance; he has the sixth most appearances of any actor on the show. He was in an episode of Parks and Recreation, two of Veep, and is going in to be in some movie called The Bystander Theory. Easy last, things start getting more difficult from here. 15. Madison Burge (as Becky Sproles) – She was in Robert Duvall film Seven Days in Utopia and in three episodes of ABC Family’s The Lying Game. She was in an episode of Southland and currently has a recurring role on the final season of Dexter as Vince Masuka’s daughter Niki. 14. Aimee Teegarden (as Julie Taylor) – Among the least busy of the FNL cast members, Teegarden is still only not higher due to being hurt by timing as her films Prom and Scream 4 appeared just before FNL finished airing. She was in web series Aim High and movies that did nothing Love and Honor and Beneath the Darkness. She starred in a CW pilot, The Selection, that didn’t get picked up, but she’ll get another chance as the star of 2014 planned mid-season CW series Star-Crossed. 13. Zach Gilford (as Matt Saracen) – Since leaving FNL’s main cast, he’s been a main cast member on two failed dramas, 2011 Shonda Rhymes-produced medical drama Off the Map, and 2012’s Fox failure The Mob Doctor. He was in nothing movies In Our Nature and Answers to Nothing and will appear in Arnold Schwarzenegger starrer The Last Stand as well as Devil’s Due. 12. Matt Lauria (as Luke Cafferty) – He was a regular on the reasonably well-liked by short-lived Chicago Code and appeared in episodes of Burn Notice and Person of Interest. He was in three episodes of CSI and in 10 of Parenthood, which, as it was created by FNL showrunner Jason Katims, and will be showing up several times on this list. 11. Adrianne Palicki (as Tyra Collette) – She would have been Wonder Woman in the David E. Kelley pilot that failed to get picked up. She was Lady Jaye in Gi Joe: Retaliation which I’m guessing you didn’t realize grossed 371 million worldwide. She co-starred in 2012’s Red Dawn remake which was actually filmed in 2009 but took three years to see the light of day. She was a main character in 2010’s Lone Star, but the well-reviewed show was cancelled mind-mindbogglingly quickly. 10. Kyle Chandler (as Eric Taylor) – Coach Taylor himself, Chandler, as one of the few adult cast members (three, and Buddy Garrity is kind of a technicality), was logically a lot more successful before the show than most of the youngsters. He’s kept quite busy since, appearing in a number of supporting roles in prominent movies. Right after FNL ended, he was in spooky JJ Abrams film Super 8, then appeared in Best Picture winner Argo and Best Picture nominee Zero Dark Thirty. This year he was in Broken City, teen love indie The Spectacular Now, and will appear in Martin Scorsese’s The Wolf of Wall Street. We’re just under halfway there. Part 2 coming up shortly.